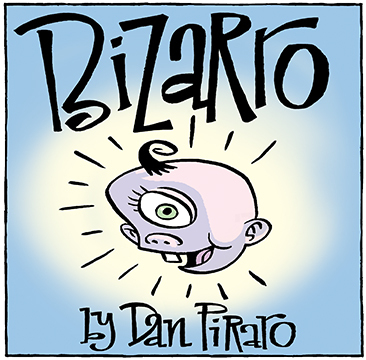 Bizarro is brought to you today by Parenting Positions. Well, this joke is kind of gross so let’s not talk about that part. Instead, let’s talk about the Secret Symbols, of which there are 8 in this cartoon. A couple of them are in color only with no black line around them, which means that people who view this cartoon in newspapers with less-than-ideal printing likely won’t be able to spot them at all. So before you search for them, congratulate yourself on being wise enough to look for them here. 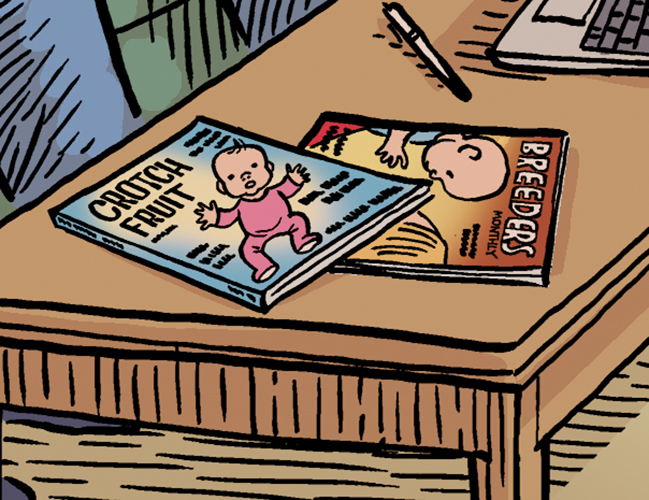 A super fun detail that you might miss in both the newspaper and the web version is the magazine covers on the table. Lucky for youse, I have thoughtfully provided an enlarged view of them here. Lastly, I had a fun week and want to share. I mentioned this on FB already but for those of you who skip that childish nonsense and come straight to this blog, here’s the deal: First thing Thursday morning I got an email from a couple from Amsterdam who said they were visiting my town and wondered if they could see my art anywhere. I met them at my studio and showed them the handful of paintings I have left from my recent show, some older works, and my latest watercolor which I’d finished only a week ago. We had a nice chat while they looked at paintings, they politely thanked me for my time and left. When I got out of bed that morning, I hadn’t figured on selling anything that day anyway, so I was fine with it. This looks like a game of chess and checkers, but it’s actually a couple of pieces from Monopoly and one from Risk in the midst of a roleplay game. Who says board games have to be boring? I’m just kidding. I don’t currently have a cat. The obvious solution is to turn the “V” into a big “X” and start calling his girlfriend, “Xillian”. Done. Always ask for cat-proof steel. I once had a truck made of non-cat-proof steel and my cat shredded it. Perhaps my favorite part of this cartoon is the Hole Depot logo on the older filthy vermin’s apron. 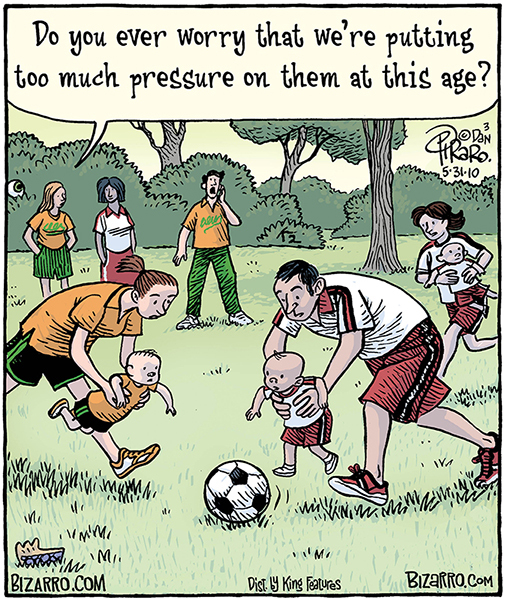 This cartoon marks the first time that the topic of funeral planning has made me snacky. Well, considering nobody remembers it, maybe it was just a clothing swap and you all succumbed to a gas leak. Well, Jazz Pickles, that concludes another comedy crapshoot. We know that you have a choice of time-wasting devices on the Interwebs and we thank you for choosing this blog. If you enjoy what we do and would like us to know that, please consider patronizing one of the things behind the links below. Every little bit helps us keep the campfire stoked at Rancho Bizarro.